SmartEcoMap™ is a cognitive virtual assistant created specifically for tourist destinations. Thanks to the use of cognitive technology it can talk naturally with the tourists and understand what they need, and use this information to give spot-on answers. Today's tourists want immediacy and have little patience for technology they have to wait for, giving personalized answers and recommendations in a second is crucial, and this is exactly what Eco does. To answer the tourist, the virtual assistant accesses to the information about the destination, but also takes into consideration other data, like weather, opening times, activity prices, events, excursion schedules and even the tourist's own preferences. A clear example of the capabilities of the virtual assistant is the answer to the question "What can I visit nearby tomorrow morning?". In this case, SmartEcoMap™ would cross-analyze data from the destination, weather for that date, tourist geolocation, opening times of nearby places and the user's preferences. This process takes less than a second, and gives the user exactly what he's looking for. Our goal is to improve the travel experience of the tourist visiting the destination. We want SmartEcoMap™ to become that friend that lives in the city and can recommend what to do. We're striving to improve the travel experience as well to benefit the destination by helping increasing awareness of all activities, diversifying tourist movement, removing language and cultural barriers, and providing tourism intelligence and insights acquired from usage. 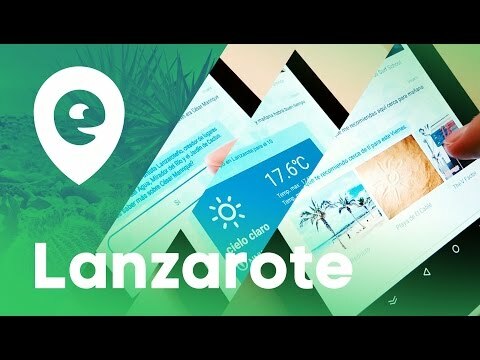 SmartEcoMap™ is being currently tested in Lanzarote, in the Canary Islands.